YouTube now supports 360-degree videos. We’ll pause for a moment to let that sink in. Ever wanted to look around you while watching a film or TV show? Wished you could choose your own camera angle while watching sport? Or wondered what a cat video looks like from a cat’s perspective? YouTube now allows you to do that… as long as you meet a pretty hefty list of conditions. To create and upload 360-degree videos, you will need a compatible 360 camera, such as Bublcam, Giroptic’s 360cam, IC Real Tech’s Allie, Kodak’s SP360 or RICOH THETA (which are already available or being released soon). You can also create them using your own custom camera set-ups, then using third-party software, such as Kolor Autopano, to stitch your footage together into a panoramic whole. Then, you need to add the correct metadata to your file, which is done by you downloading a script from Google to run yourself. That’s available here. 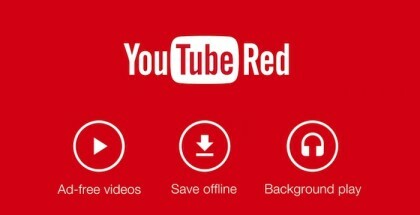 Once you’ve done all that, people can watch your videos on Android devices or through YouTube.com on Chrome. All they have to do then is click the arrows in the top corner or drag the mouse to move the camera around. In other words, YouTube supports 360-degree videos – but only just. Support for iOS and other devices is on the way, while YouTube promises it will sort out the metadata process so that it becomes automated and easy to use, regardless of the camera you use to capture your footage. Even when you’ve met all those requirements, meanwhile, the end result is a bit choppy, especially when trying to stream HD videos. 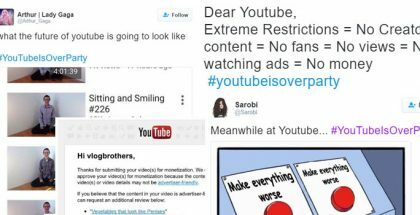 But that doesn’t take away from what exactly YouTube has achieved here: this is quite a game-changer, whether you’re aiming for a virtual reality-style web series or planning an interactive video point-and-click adventure game. To give you a taste of the potential 360-degree video opens up, have a butchers at these examples. Time Couch is an in-engine VR experience made by StressLevelZero, as a test of what’s possible with 360-degree videos. Not intrigued by that? How about a concert video from Tomorrowland 2014, which captures more of the atmosphere from a gig than a fixed viewpoint?